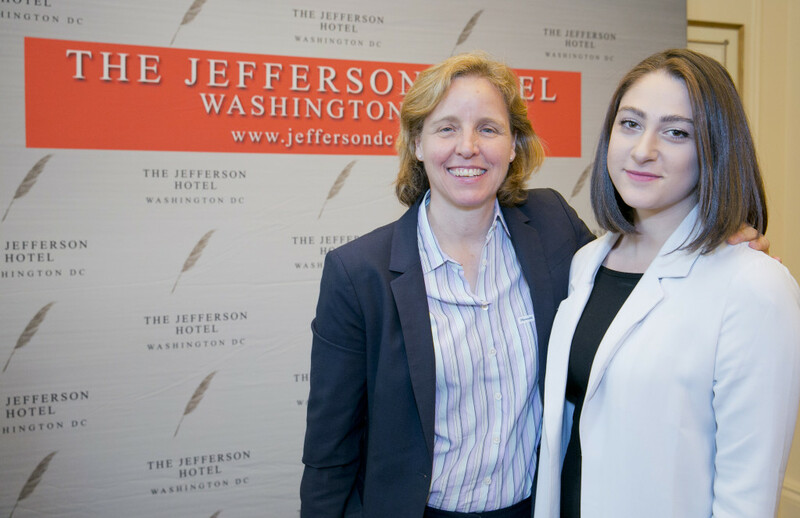 During a conversation with Volta Insider‘s Rachel Greenberg, the U.S. Chief Technology Officer, Megan Smith, shared her experiences as an adviser to President Barack Obama and explained why more students should consider careers in technology fields. Download the podcast on AudioBoom or iTunes, or watch video of the interview. 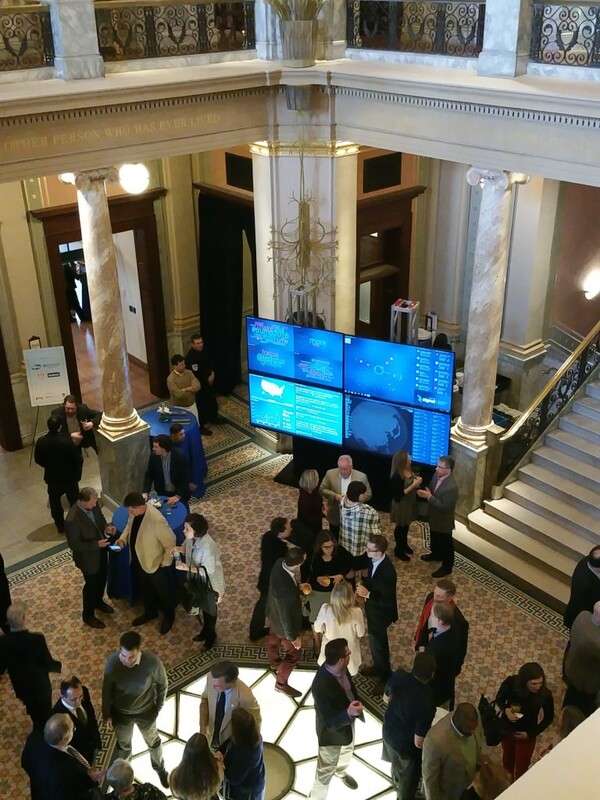 Volta Insider’s Rachel Greenberg hit the campaign trail recently to learn more about what the Presidential candidates are saying that is appealing to voters. At rallies for Hillary Clinton, Bernie Sanders, Ted Cruz and Donald Trump, she interviewed supporters and observed how candidates convince people to support them during the Iowa Caucus. Dr. Baba Steve shares why he enthusiastically supports Donald Trump’s candidacy for President! Yesterday at a Hillary Clinton rally at Manchester Community College, Edward Anderson of New Haven, Connecticut disrupted Clinton’s speech by yelling to the stage and asking her ‘why she took the money’. WHCI: I’m here with Edward Anderson from Connecticut. Mr. Anderson, you were just in the Hillary rally and you were calling out to her. What were you complaining about? Edward Anderson: I wanna know how and why she takes their money if she’s supposed to be regulating them, OK? It feels to me like she’s on the payroll of the big corporations which are taking, you know, she’s getting student loan money. OK, donations, she got donations from the student loan industry and then she’s gonna turn around and regulate them. EA: Oh, come on. We’re so tired of false equivocations, we know Bernie’s not on anybody’s payroll, OK? I mean look, the young people are smart, they’re tuned into this and they’re not buying it, OK? They’re not buying the same old half-truths, you know? WHCI: And did the Bernie Sanders campaign send you over here? EA: No, hell no! No. I come to the [inaudible] lately. I’m a driver for a friend who’s covering this for an independent press. And no, I didn’t mean to do what I did today. I’m a little embarrassed. Still, the things they say are incredible. They really wanna make you go outside and throw up. WHCI: Have you been to Bernie rallies here in New Hampshire? EA: I was locked out of one last night. Yesterday afternoon the crowd was too big. I couldn’t get in. WHCI: Are you gonna go out and campaign for him? EA: No, no, no, no, no, no. Those days are behind me. I’m not trying to knock on anybody’s doors, tell anybody in New Hampshire how to vote. EA: No, this is a good debate. I think at the end of the day Hillary wants to get the money – well maybe not Hillary, but a lot of politicians want to get the money out of politics. I know my people in Connecticut, they wish they weren’t so beholden, OK? They really wish they could represent rank-and-file Democrats but it’s all about raising the money. EA: What do you mean? There’s a movement out there. The young kids in the country just started a movement, you guys gotta tune in, OK? When 85% of the young kids show up, you know I’m on board. If the kids wanna do a revolution, I’m there. Let’s get the money out of politics, let’s get healthcare for everybody, let’s give everybody a decent living wage. I mean these are things that you care about as a Democrat. The Gang of 500 is in New Hampshire covering the campaign. WHC Insider caught many in action. 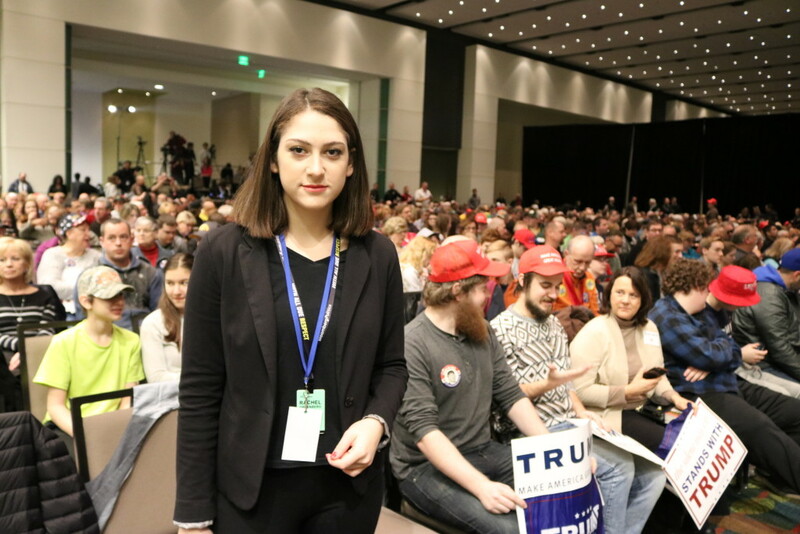 Donald Trump did not win the Iowa Caucus, but as he makes the pitch to New Hampshire voters, Rachel Greenberg of Volta Insider reports from inside his final rally at a hotel in Cedar Rapids, Iowa. Download the podcast on AudioBoom or iTunes, and join the conversation on Twitter via @VoltaInsider. 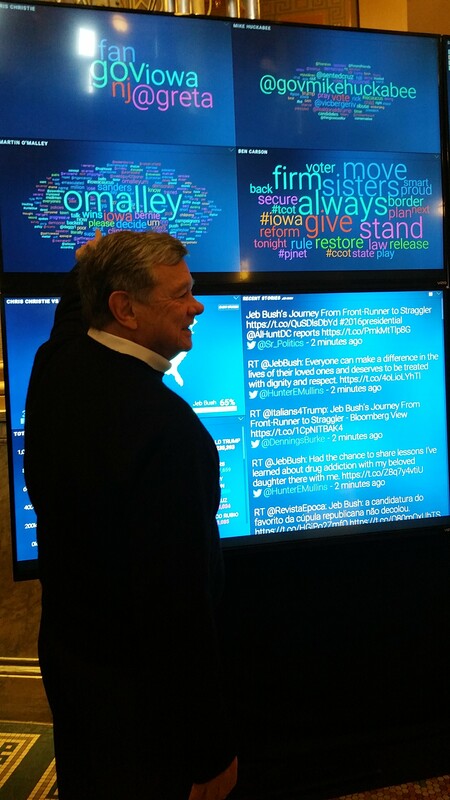 John Coale of the O’Malley campaign at Zignal Labs Command Center at the Snowflake Garden Brunch at the World Food Prize in Des Moines, Iowa one day before the Iowa Caucuses.